Workout: Back, Bis, Calves, Supplements & diet/eating, Quads and hamstrings: Ronnie weighs in at an amazing 325 lbs. You will see Ronnie’s whole-body workout filmed over 4 days, including all 6 meals he consumes in the off season starting 10:30 am to 3 am. 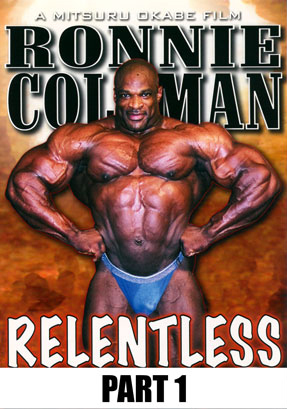 Next the DVD moves to September 11th, 2006 just 3 weeks out from the 2006 Mr Olympia. You will see how Ronnie’s daily routine has changed, and how the changes effect his body. You will see Ronnie departing to pre-judging of the Olympia and right after he comes back from finals. This DVD is a must for all Bodybuilding fans, as Ronnie tried to make Bodybuilding history. Will he be back in 2007 to try again for title number 9?